In this sparkling tale, young merchant Abdullah purchases a magic carpet - and soon finds that the enchanted rug is none too agreeable. But despite the carpet's cranky demeanor, Abdullah must rely on its help to rescue a princess from a wicked djinn. It Was Quite Good; What More Can I Say? 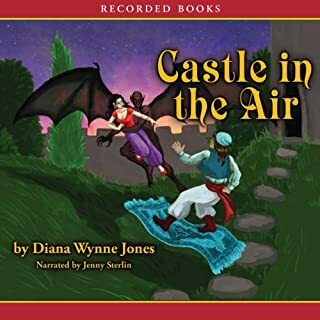 Castle in the Air is a very interesting book to come after Howl's Moving Castle, mainly due to the fact that it feels like a different world entirely. But I'll get more into that later. In general terms, this is one that lives up to expectations set out in the first book quite well! First, the story. I used to be of the opinion that most mid-readers were a little light on story in general, but that there were a few that had really engaging plots. I've been reading them on-and-off for a long time, and books like Castle in the Air are one of the reasons that my opinion is changing. The storyline in this is quite deep, and many aspects of it have multiple layers that you can peel back and enjoy on their own. While the story does have one main thread that ties it all together, the smaller stories that come from it are no less interesting. It's particularly enjoyable when small things that seem to be mentioned in passing end up playing a fairly big role in events. However, with so many story elements there are bound to be a few that fail to resolve or that feel like they were done in a deus-ex-machina way. I won't go so far as to say that it's like Scooby-doo and everything reveals in an anticlimactic way, but some aspects are just unsatisfying. But the thing that keeps me going is the thought that maybe everything will tie together in the next book. Characters are quite good. Diana Wynne Jones is terrific at giving us characters with specific motivations and foibles that we as readers can all identify with. Characters seem to be able to think and see what will happen as a result of their actions and can adapt, but we can also tell that they have reasons whenever they happen to make a bad decision. Sometimes it can get a little frustrating, though because characters only seem to have one or two motivations that drive them throughout the entire book. While this can be good sometimes, I feel like it would be served better if there was some break in the character's primary motivation. Let's be honest: a person can't fixate on one idea forever, and it seems that the characters have a tendency to fall into that trap. However, since this is mid-reader, I figure we have to give Ms. Jones the benefit of the doubt. Insofar as the narration is concerned, it has kind of worn on me. As an American, I generally can't catch the minute differences between an English accent and Welsh one, especially when compared with that of an English (?) person impersonating the accent of an affected Middle-eastern carpet merchant. British pronunciation is naturally the norm, and I found that the many differences (and their frequency) tend to pull me out of the story. The reader seems to be in a near-constant shouting match with the microphone, which can make her voice sound strained and almost tinny. I feel that the narration would be much stronger if she were to speak in a more normal tone, but this could be the exception rather than the rule. The parts of the recording that stand out most strongly in my memory are the times when Ms. Sterlin was speaking very loudly. In all, this book is quite enjoyable. While I don't think these books will ever reach the same level of popularity that Harry Potter and the Sorcerer's Stone or The Lightning Thief enjoyed, they are nevertheless worth your while to pick up. They're entertaining, fun and fantastical. I'm an Old Republic Believer Now! Perhaps it was just because I was relatively disappointed in Fatal Alliance, but I picked up Deceived and was almost ready to be let down. I wasn't. Paul S. Kemp is quite a good author, and maybe I should have gotten myself ready to be wowed just from that. The book started out much like most Star Wars books, and got moving really quickly. The story moved along quickly, and I was able to digest everything that happened as it happened, but there was enough ambiguity that readers can keep guessing as to what will happen right until the end. Characters are well-defined, and have strong arcs that show their progression throughout. Although some might not be as drastic as others, each one does change, and the phases that each one goes through feel natural. You get the sense that these characters are living, thinking and breathing on their own, and the decisions they make are down-to-earth (pun not intended) and rational. As for the performance, I can't say enough good about Marc Thompson. Maybe it was just the flawed writing in Fatal Alliance that made me have so many issues with it, but he seems to be hitting his stride with this new string of books. Voices are fantastic for each of the characters, and each is differentiated. The only negative thing I've heard anybody say about his narration is that he gets a little over-emotional during fight scenes. While he might overdo the emotion in parts, I don't think it's outside the realm of believability. And, as always, we get the complete Star Wars experience, including music, sound and the whole nine yards. In a word, the production is fantastic. 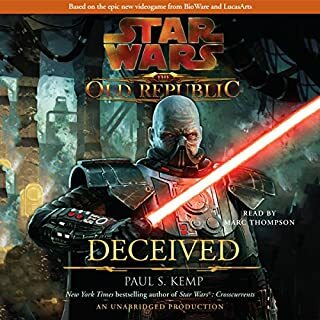 As a part of the bigger Expanded Universe, Deceived shows the growing trend for Star Wars books to tread more into the mainstream sci-fi genre, rather than sticking with space opera. While the book is still farily event-driven like most space opera, characters are deep and problems are closer to them, which are more closely associated with the overall sci-fi genre. Which brings us to the question of whether the EU is okay sticking with space opera, or if it should move into the realm of mainstream sci-fi. Regardless of which argument you choose, Deceived is a good candidate for either side of the debate. That being said, this straddling of the line in no way interferes with the story, or how much enjoyment you can get out of it. After Fatal Alliance, I didn't know if I wanted to keep going with The Old Republic, but now I know I want to. It's made a believer out of me! Taran dreams of adventure, but nothing exciting ever happens to an Assistant Pig-Keeper, until his pig runs away. 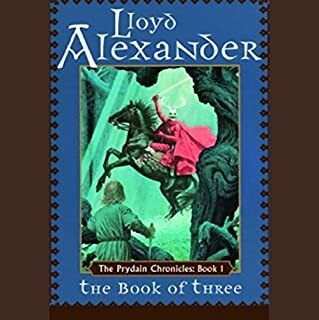 A chase through the woods leads Taran far from home and into great danger, for evil prowls the land of Prydain. With a collection of strange and wonderful friends whom he meets on his journey, Taran finds himself fighting so that good may triumph over evil, and so that his beloved home will not fall to a diabolical fiend. I kinda hope that the literary community doesn't kill me for only giving this three stars. But let's be honest: I've probably been rating things too high all along. And I have reasons for rating this one lower. The Book of Three was entertaining. I liked the main character, and thought that the story was brilliant in its sheer simplicity. It was a really basic hero cycle, except that the reason he left his home was because he was chasing a magic pig. However, on a side note, I would say that any pig is magical, because BACON! But I digress. While the hero cycle is all fine and dandy, I personally tend to like a little more meat on those bones. But...not so. Again, before the internet verbally (or textually) abuses me, I understand that it's juvenile lit. I'm not saying that it's a bad story. Just a little light. That makes it perfect for even seven to eight year olds to pick up and enjoy, which is great. Despite the relative lightness of the contents, the main thing that bothered me was the cast of characters. Each one of them seemed less a character and more a caricature of what a person actually does and says. This doesn't usually bother me if it's a fairly isolated thing or if it's just one of the characters. But it's all of them. It wasn't noticeable at first, but started feeling like a stumbling block as the story progressed. The thing that really sets this audiobook apart is the performance. James Langton does an absolutely fantastic job at differentiating character through accent, style of speech and even little things like how strongly they pronounce certain sounds. If for nothing else, this recording is valuable for the simple fact that it can overcome any inherent weaknesses (or things that bug you) so you can still have an enjoyable time listening. This is certainly something that I can see my wife and I listening to with our kids on a long road trip. And since it's only about five and a half hours, we will probably listen to the next one, too. With everything that I've said, you probably think that I didn't like the book. On the contrary, I enjoyed the escapism and new ideas that the book brought to my own literary culture. I've been told that the story really starts to pick up after this book, so I'm excited to move on to The Black Cauldron. If indeed the story does improve after this, I will just figure that this one is a quick introduction to the world. 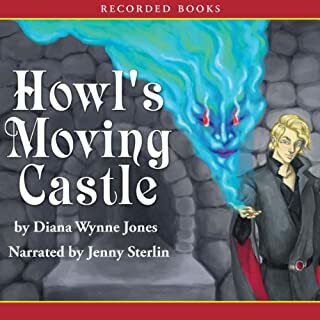 Having seen Hayao Miyazaki's version of this story before I read the book, my reading of Howl's Moving Castle might have been a little bit tinged by what I already knew of the world. That being said, it was still quite an enjoyable ride. The first thing that one should know going into this is that it moves fairly slowly, especially for juvenile lit. There are a lot of aspects of the story that are fairly deep, and I assume those will be explored more in the next book. This shows us that the world is more expansive than most others in most Mid-reader fantasy books, and gets us excited and ready to move on to Castle in the Air. Yay! The way most things work is not explained, which kind of irritated me, but I guess you can't have your cake and eat it, too. I think characters are where Diana Wynne Jones really shines, though. The cast is fairly small, consisting mainly of Sophie, Howl, Michael and Calcifer. This lets the reader get more in touch with each one of them, in contrast to grown-up fantasy epics like The Wheel of Time. More than that, each character is quite distinct, and has their own reasons for doing what they do, which I feel is also something that lacks in some juvenile lit. The narration was quite good--Ms. Sterlin was quite good at using her voice to get regional accents or age across to the listener, which is one of the things that makes the performance pop. Like the rest of the book, it is an experience I would recommend to someone and to kids, but it probably won't be the best audiobook experience a person ever has. In all, the lack of real action is what kept me from rating this five stars. It was good, but it didn't move me to the point of jumping up and down wanting to read the next two. I will read them, but I'm willing to read other things and come back to them. It's hard to review a book that I had so many misconceptions about when I picked it up. 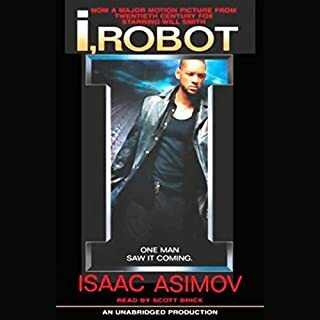 I knew it is considered a great piece of sci-fi, but was really shocked by the huge departure that the filmmakers took from Asimov's original vision. Forget all the action sequences. Forget everything you've seen in contemporary science fiction, because I, Robot is not it. Perhaps that story gets told in later books in the series, but I don't know. But what we have in this book is definitely the beginnings of that modern sci-fi. We don't get gigantic space battles or epic conflicts between man and machine. What we do get is mining on asteroids and Mercury. We get the progression of technology. We get a lot of the basic ideas that later SF authors capitalized on. The saying is that "If I see far, it's because I stand on the shoulders of giants." Well, Asimov is certainly a giant, and it's easy to see why. This book was published in 1950, and the technological ideas in it are incredible. I don't doubt that a lot of scientists and modern roboticists have taken at least some inspiration from this novel. The writing is good, and keeps you moving along despite the fact that there is relatively little conflict within the book. A few of the characters kind of fell flat for me. A lot of them were smart, but one seemed like he was belligerent the entire time, while another balanced him as the voice of reason. The robo-psychologist got thrown into the middle of it, and she seemed to have next to no emotion at all, except for a certain point. So...yeah. Characters feel a little two-dimensional. But hey, it was the '50s. This two-dimensionality isn't helped at all by the narration. The performance was so wooden, the narrator could be nicknamed "oak." I'm sure he's not a bad narrator--I enjoyed the book, after all. But there was a distinct lack of emotional range whenever anything happened in the book. Granted, the book doesn't have much emotional dynamism either, but I feel that Scott Brick really missed a chance to help the text feel even more interesting. Another thing that pulled me out was the date. Apparently, we have the option to study robo-psychology in universities, but I never knew about it. In 1950, the great leaps that technology was taking probably made it seem like a positronic brain was attainable in the late 1970s, but, well... I'm just going to stick to waiting for the flying cars. I don't often listen to audiobooks while I'm spending time at home with the family, but this is one case where I couldn't help myself. I first heard about The Hunger Games when Catching Fire came out and I saw it all over the university's campus. Everybody had their nose in these books! My wife got into them, and then the movie came out, and I knew it was just a matter of time before I cleared enough time to read it, too. And I'm glad I did. The tone of this book is exactly what I had expected. Dark. Sad. Terrifying. The entire premise of the book is so intense that you can't help but be intrigued by it--I guess that's the whole point of the dystopian sub-genre. 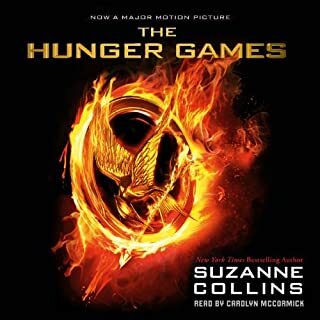 In case you're one of the three people that don't know, the idea behind this book is that after a quashed rebellion, the Capital forces the twelve districts to give one boy and one girl as tribute in the annual Hunger Games, where they all kill each other as it's broadcast across the nation. Whoa. I know that idea has come up in literature in the past, but I don't think any do it this well. If you've read my reviews in the past, you know this is usually where I talk about character. Well, you're right. They're deep, but you can tell that they are written and geared toward readers that aren't quite fully mature in the emotional department. They're well written, but you can tell that the main character is 16 and has kind of disconnected herself from her emotions. Given the themes in the book, it's easy to see why. One of the things that struck me as odd--not bad, just odd--about this book is that it was written in first-person, present-tense. For those of you who don't speak literature nerd, that translates as "I go to the bush, and pull off some berries. I roll them around in my fingers..." and so on. This is not the norm. The most common thing (in sci-fi/fantasy especially) is third-person limited. After reading so much in that style, The Hunger Games kind of threw me for a loop until I got used to it. But once I was used to it, it was really hard for me to listen to this and try to read Robert Jordan's Crossroads of Twilight, which I'm about halfway through. It was just too jarring a transition. The narration was one of the things that helped me along in the transition in style. She sounds a lot like a confused teenage girl, which fits the character perfectly. It's probably not the voice you'd want for an extremely confident character, but it's just right for Katniss. Sometimes the cadence of the performance would seem a little odd, but it wasn't overly distracting. Despite the surprisingly different style and tone, I absolutely loved this book. It's not that heady, but you get the sense that there is a lot more to the world that you can explore. There's more to learn and experience...if you can survive long enough. And now I can finally say this: May the Odds be ever in your favor. I was quite impressed with Theft of Swords. Despite some minor shortcomings, the story and characters are compelling, which are the two most important factors in any book for me. The story is a fairly common one: a fantasy setting, which revolves around a small group of people living outside the law. They get called on for a job, which turns out to be much more than they bargained for. Pretty basic. I believe I heard somewhere that this is actually two smaller books put together, and you can certainly tell, but I'll touch on that later. 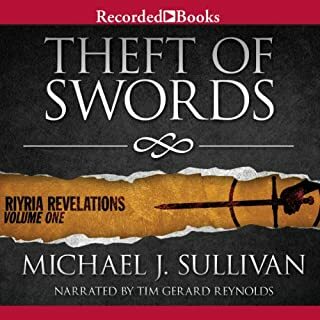 The two stories that Theft of Swords tells are both interesting and we can tell that there is something larger that will happen in future installments. Characters are good. They're not one-dimensional, but I don't think I would really go so far as to say that they are fully fleshed out and realized. It could be that the author didn't feel it necessary to go into details, and it could be that he wants to keep us guessing as to the origins of certain characters. In either case, it doesn't make much of a difference since that's not what is keeping our attention. As mentioned earlier, the downsides are fairly minor. Since it feels like two different books combined into one, the transition between the two can be a little jarring. It's kind of like the first story was to test the waters so the author could tell if it was going to be successful. It is a complete story in and of itself, but leaves a few questions unanswered, which allowed for a sequel--in this case, the second half. That's one thing that I noticed as being a little odd. The second and more pervasive is the world itself. My wife said that it felt like somebody's tabletop RPG in book form--I wouldn't go that far, but I will say that the world feels like a carbon copy of Dungeons and Dragons. Elves, dwarves, magic and all the bells and whistles seem essentially untouched as far as the basics of each, and the only thing that is different is the relations between each group. Except for elves and dwarves. They always hate each other. This can be particularly irritating to a nerd like me, because many of the revelations that are supposed to be shocking in later chapters are all things that I guessed halfway through. Once we were both done, I told my wife that I had such-and-such figured out before I started the second half, and she was shocked. But then again, she never really played D&D. The narration is good. There was nothing particularly outstanding about the performance, other than the fact that the main characters' voices fit their personalities: one is quite warm and outgoing, while the other is more of the brooding, I'll-look-at-you-from-the-safety-of-my-cloak type. In all, there are more pros than cons to this book. But the size of each is the reason I feel good in giving Theft of Swords four stars. It's entertaining and moves quickly. You won't find any mind-shatteringly new ideas or worlds like are fairly prevalent in the Fantasy genre nowadays. Just the tried and true stuff. British military historian John Keegan, the author of such groundbreaking works as The Face of Battle, addresses some fundamental questions about war: Is man innately violent? Are soldiers like other men? Is a disciplined army essential for a civilization’s success? 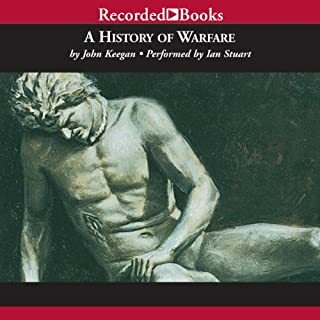 With interludes on such topics as fortifications, weaponry, and logistics, and interesting perspectives on some of history’s great military leaders, Keegan’s study offers an expansive, panoramic view of warfare. A History of Warfare is probably one of the most interesting (and dense) nonfiction books I've read, even considering all the ones I read during my years in college. John Keegan is able to paint a fairly good picture of where aggression--warfare, as we call it now--came from by analyzing the findings of anthropologists studying tribal people. He is then able to move us forward by logically filling in the gaps between that stage and the point where recorded history begins. All of this is done in a very academic way, which makes for a very interesting read, but perhaps one that is a little over-complicated. As I went through the book, there were a few flaws that I noticed, though. Most of these revolve around the overall Euro-centric viewpoint adopted by the author. Even though he refers to archaeology done in southeast Asia, Africa, the Middle-east and South America, he tends to skim over the intracacies of these cultures and focuses on how they relate to European war-making. This Euro-centricity is pervasive, but not necessarily surprising considering his background and the declared aims of the book. That aim is basically to refute the claim in Carl von Clausewitz's claim in On War that "War is a continuation of politics by other means." I was convinced by the time I finished the book, but it almost felt as though Keegan was beating the reader over the head with his point. The second point I need to bring up is the use of language. This book is not for a casual reader. It is probably required reading in some universities, and the language reflects that level. I listened to the audiobook, and I probably listened to the entire book one and a half times, because I had to hit the rewind button so many times. It is interesting. It is a very good read. But it is very dense. Anyone who does not have a university degree might find themselves scratching their heads at some of the writing, unless the reader is very accustomed to heavy academic writing. As for the narration, it moved along at a brisk pace (read: a little on the fast side.) Mr. Stuart reads as if he's a university professor giving a lecture, which is easy on the ears, but a little hard on the brain. If you can sit and listen with little to no distraction, you won't notice any issues. But if you're like me and your attention is grabbed by things on your commute, you might want to be careful about this one. It's written in such a way that if your mind wanders for a few seconds, you might have missed something important. That being said, I enjoyed this book quite a lot. It brought up a lot of points that I had never considered before, and conveyed a strong message about what warfare has become and why. Good Story Narrated by ... Siri? 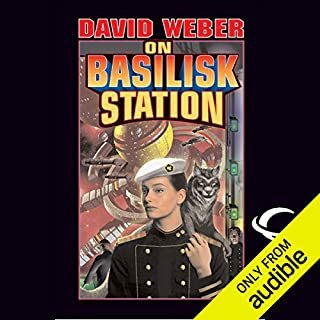 On Basilisk Station is probably one of the very best sci-fi books I've read in a while, and that's saying quite a bit. It's more in the realm of hard sf than I'm used to, but I have to admit that the stronger presence of science didn't interfere at all. The writing is tight, events move quickly and the characters are all interesting. It's a tribute to the author that some of the most tense scenes in the book are when Captain Harrington is having a meeting with an antagonist and the scene with members of the crew are just as exciting. There is no wasted time or effort in this book, just good writing. The main criticism I have for this book is the narrator. Allyson Johnson may not be the voice of Siri (the assistant on the iPhone), but she sounds pretty danged close. Her performance is stiff, awkward and the phrasing is bad. I look at the series, and find that I get depressed when I see that Johnson narrates pretty much all of them. The book is great. The narration... let's just stick with the book, shall we? As I said, pretty much everything in this book shines. The events don't necessarily keep you guessing as to what's going on, but there's enough intrigue there to keep it interesting until the end. The only criticism that I've heard of it (from my wife) is that there is some harsh language in it. I didn't count, but when something gets really tense, characters aren't against dropping the f-bomb, which might put some people off. I'm not one of those people. But it's a caution you might want to keep in mind if you are. That being said, this is also a story about military stuff, so there's going to be some literary blood and gore. Again, if you're not put off by it, go nuts. It's a great read, and one that you won't regret diving into. I ROLLED MY CHANCE CUBES AND WON ON THIS BOOK! Before I go any further, I just want to say that it's fun having Ocean's Eleven done Star Wars-style. Refreshing! Anyway, I think that sums up the basic plot. Han Solo gets hired for a heist, he gets a crew together, a bunch of stuff goes wrong, and they try to steal a whole bunch of credits so they can all retire and live peacefully for a really long time. Sounds simple. It's not. Timothy Zahn adds a whole bunch of layers to the mix, and makes the whole idea much more interesting. The story takes place shortly after Star Wars: A New Hope, so we know that the three main characters (Han, Chewie and Lando) come through alive, but the book is so tense and well-written that you start having to reassure yourself once in a while. New characters are fun and interesting, while old characters (Lando!!) are spot-on. I was a little concerned when I learned that Marc Thompson was the narrator--I'd listened to his reading of Fatal Alliance, and...well, let's just say that I was less than impressed. But he must have been practicing. 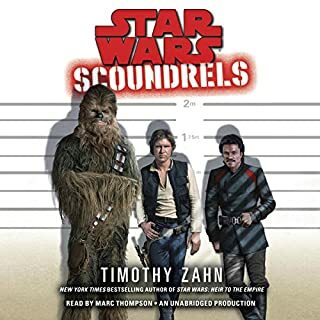 Maybe it was the writing or characterization in Fatal Alliance that made the performance seem lacking, but Thompson is in fine form for Star Wars: Scoundrels. There are probably in excess of 20 characters in the book, and each one of them had an individualized voice that was immediately recognizeable (save for a pair of twins).